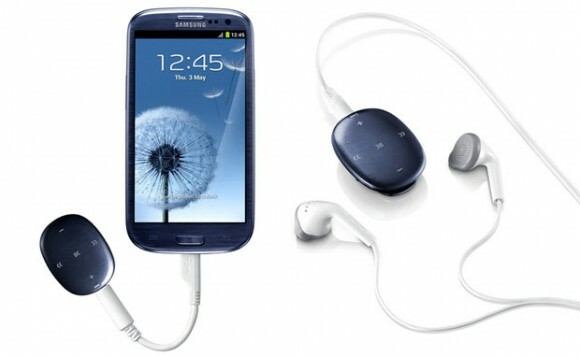 Do you remember the days when you would carry around an MP3 players and your phone at the same time? I do because I still do; the main reason is because I didn’t want to waste my battery life just listening to music. Now everyone uses their phone as an MP3 player, so Samsung decided to try and make everyone’s life easier by introducing us to the Samsung Muse. The body of the Muse is shapes like a pebble; the touch-based has a smooth oval design the Muse only has the basic playback buttons and switches. The SoundAlive EQ really gives you that extra bass which is surprising; I’m constantly looking for headsets that give out a good sound, now I no longer have to worry about that. No LCD display or touchscreen to be found here it’s designed to function with smartphones such as the Samsung Galaxy Note II and Galaxy S 3. Owners just need to download the free Muse Sync app in the Google Play store, and hook the Muse up to their phones. When you’re done with that, music can be freely exchanged from phone storage to MP3 player, making the Muse a computer-free experience. Of course, the clip-on player can still transfer music files through the typical drag-and-drop which might take forever. Now if you are transferring music from your computer to your smart phone make sure you have Windows Vista or higher, which I’m sure you guys do. While testing out the battery life I got almost 6 hours out of the muse, which is great I’m sure no one’s commute to work is 6 hours long, this will get you through your morning and afternoon travel’s. Now I know everyone has gotten into Spotify, but the Muse is not compatible with streaming music and having to convert iTunes’ AAC files or Google Play Music files can be a pain too. I feel the Samsung Muse is convenient, instead of constantly taking your phone out on a crowded train or bus just to change a song or lower the volume all you have to do is use the Muse. Now when people see the price I know you’re thinking $50 is a lot of money for something so small, but think about this, the Muse comes with the Muse itself, Stereo headphones, Phone connector and PC connector. Headphones alone or over $50, you are getting Headphones (which are actually not bad, the sound quality is pretty good) and the Muse for 50 bucks…not a bad deal.